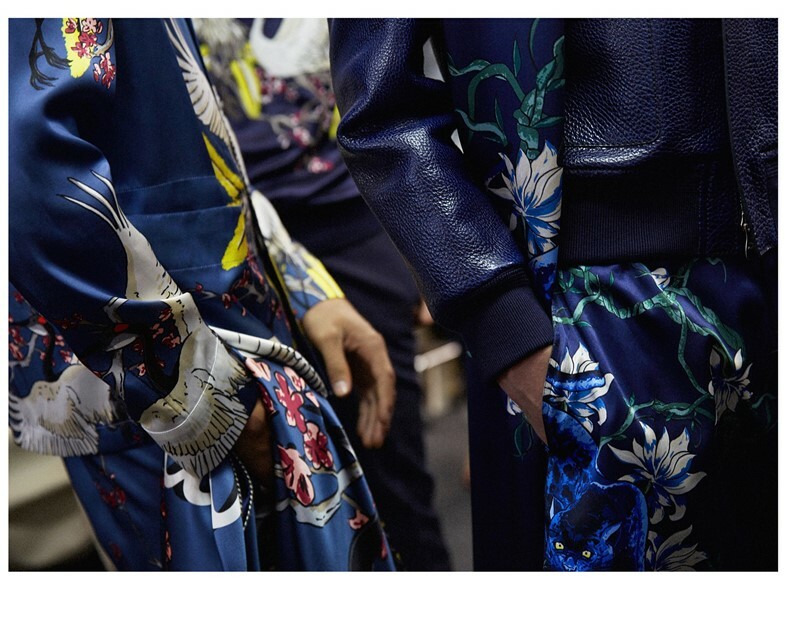 As menswear S/S16 came to a close, the fashion industry was left to consider one distinct overtone that permeated an abundance of collections: that of Eastern influence. From Dolce and Gabbana’s “Asian fantasia” to Loewe’s manga-print, Thom Browne’s kimonos to Gucci’s explorations into the orient, the European shows were decorated, embellished and tailored to explore the other side of the world. 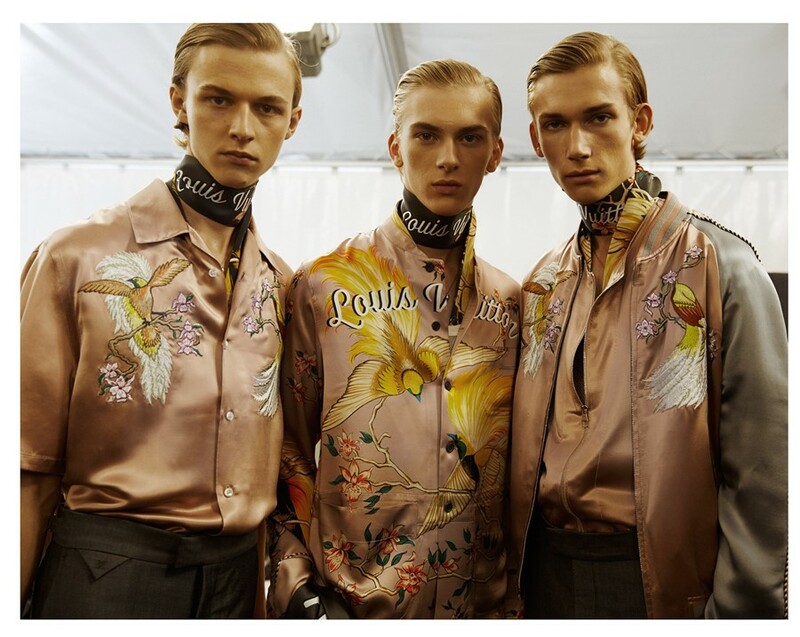 One of the final collections of the season was the one that incorporated this theme for its greatest manifestation: Louis Vuitton, which paired shimmering satins with exquisite embroidery, combining James Dean sportswear and Japanese youth culture for an opulent display of fashion at its finest. There were plenty of examples of Jones’ trademark attention to detail: the collection featured Kobe leather (the cows used were massaged with sake, in the same way that wagyu beef is produced) and pearls that were dyed in their shells to achieve a magically indigo hue. There was a brilliant lavishness to the materials used; surely there is no greater definition of luxury than someone hand-rearing oysters to make your single-pearl necklace. With an exuberant live performance from Nile Rodgers to accompany the catwalk, Jones was taking us back to the glory era of club culture; something that Rodgers had a key role in, producing everyone from Madonna and Duran Duran to Grace Jones and Michael Jackson. Ever since the 80s, Jones has collected clubwear from John Paul Gautier to Seditioneries, BodyMap to Modern Classics and has amassed a collection that Lou Stoppard described in AnOther Magazine A/W14: "These are clothes with secrets and stories. He loves the idea of the door whore, or the man in the street in broad daylight in full sequins. Those ways of life are stitched into every seam. Many of the garments highlight the penniless state of their makers – four of the Bowery pieces, while flawless in their construction, are all made from the same two cheap bits of fabric: a cheery striped cotton and a silver lamé, recycled and reworked on each piece as the edging on a jacket or the patched star detail on the front of a coat." 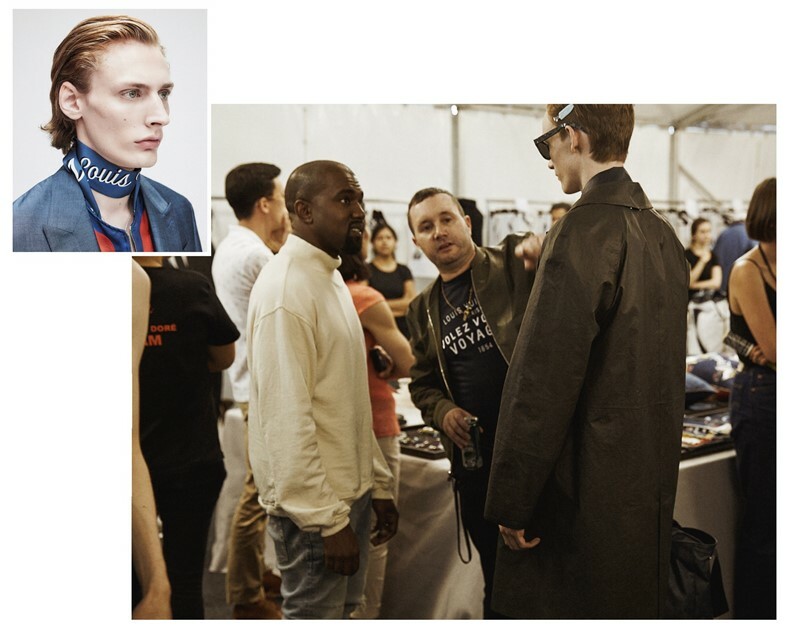 What Jones has managed to do with Louis Vuitton is incorporate his fanatical knowledge and understanding of subcultural tribes and their soundtracks and fashions and, by combining them with international motifs and exotic fabrications, transformed them into the very height of luxury menswear. Particularly good silk embroidered cushions were also on offer for those who wanted to extend Jones' aesthetic into their interiors, and they seemed to encapsulate the themes of the show. 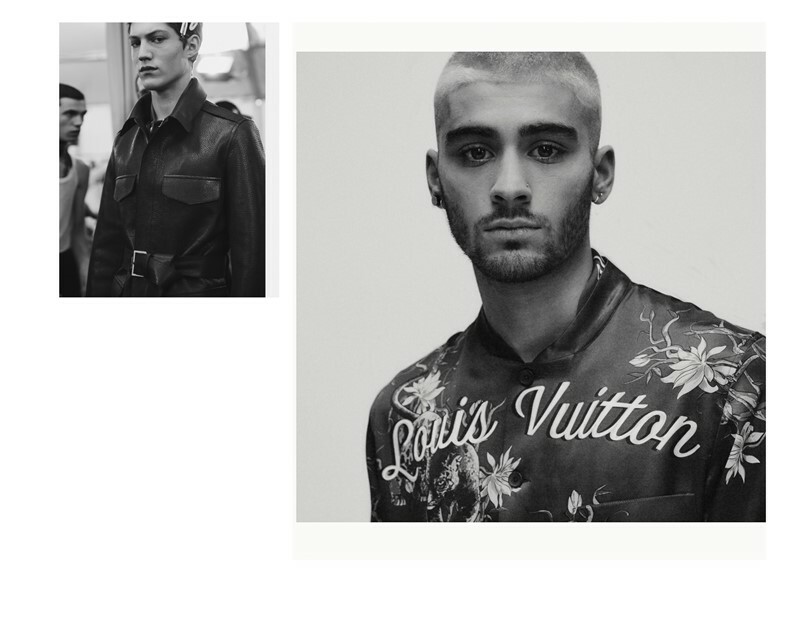 “Every season we do a signature blanket and cushions based around the collection,” explained Alister Mackie, creative consultant and stylist for Louis Vuitton’s menswear line. “And this time they were exceptional. They were double sided 2-tone and inspired by a huge souvenir blanket embroidered with army bases and beautiful illustrations that was found in Japan. The starting point for this show was a trip that Kim took to South East Asia including Myanmar formerly Burma. He returned with several amazing costumes and textiles as well as some very special vintage souvenir jackets, which we then developed together into a collection by taking embroideries from antique blankets and reworking them across the pieces. I wanted to include a feeling of how Japanese kids would wear American vintage clothes, which is something I saw in Tokyo." And perhaps that is what distinguished the collection from so many other that employed or appropriated Eastern influence: the fact that Jones (and Mackie) have a legitimate interest and nuanced understanding other cultures. Jones’ last collection was a love-letter to Christopher Nemeth – a man who, although Birmingham-born and a London counter-cultural legend, became a cult Japanese icon after decades spent living and working in Tokyo. S/S16 seemed to develop on the idea of youth culture that Nemeth came to exemplify, through items like the souvenir jackets inspired by those of Japanese teenagers. As Jones stated of his first collection for the brand back in S/S12, "It forms the notion of a coming-of-age through exploration and travel,” and this idea was sustained and teamed with brilliant finesse in execution; one that spoke to the rareified nature of Japanese culture, complete with its intricate sense of ritual and processes. S/S16 was the perfect opportunity for Jones’ attention to detail and understanding of international tribes to shine; and it unquestionably did.